Another great spring shoot for you. You see Katharina, a friend I know from the university. She is very individual and very beautiful. 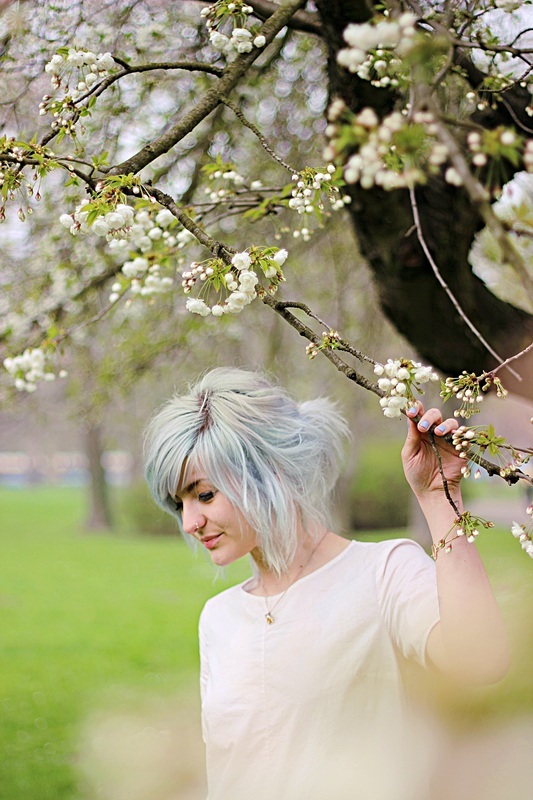 She has a penchant for bright candy hair or white - and can wear it wonderful, I think. She has a very individual style and a nice way. I am satisfied with her pictures. The photos were taken on the same day as Zoras in Clarapark in Leipzig. The magnolia leaves were already more on the ground than on the tree, but I like the final results of the afternoon. Of course there are many more pictures of Katharina in her own gallery. If you also want to do a shoot with me and are close to Leipzig in the near future, feel free to contact me and write me an email to nachdenkerin@yahoo.de. I would be happy to photograph many more beautiful girls in the summer. I always have the time, despite studying and the other things that life brings with it.